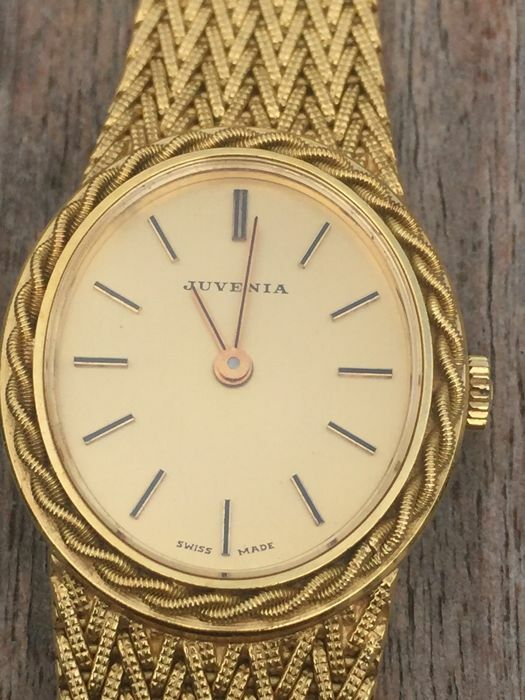 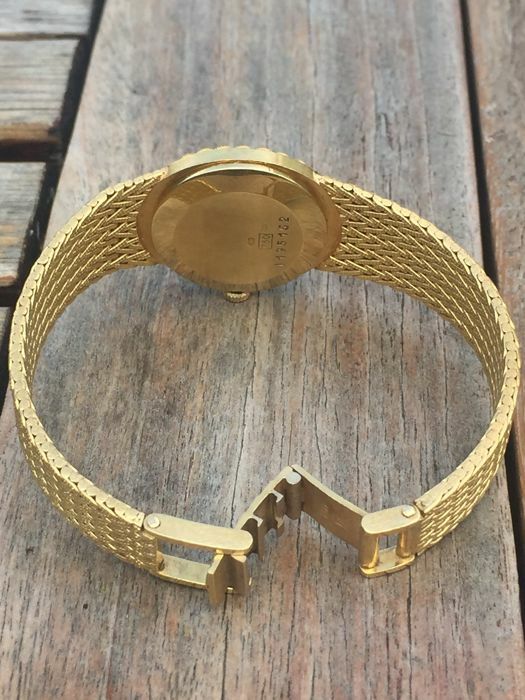 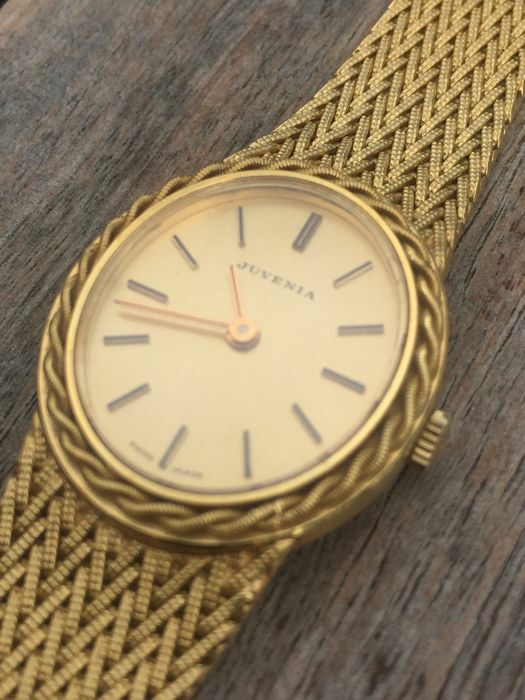 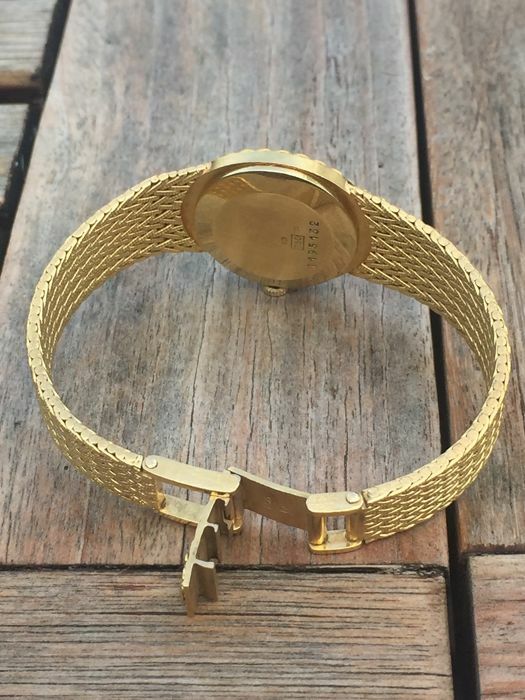 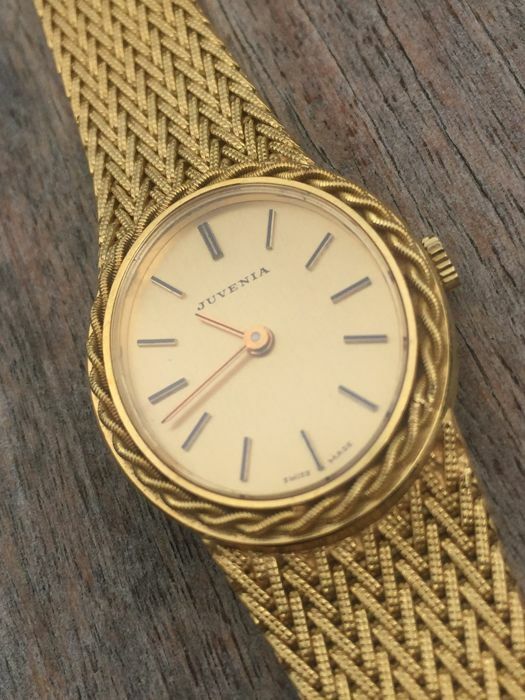 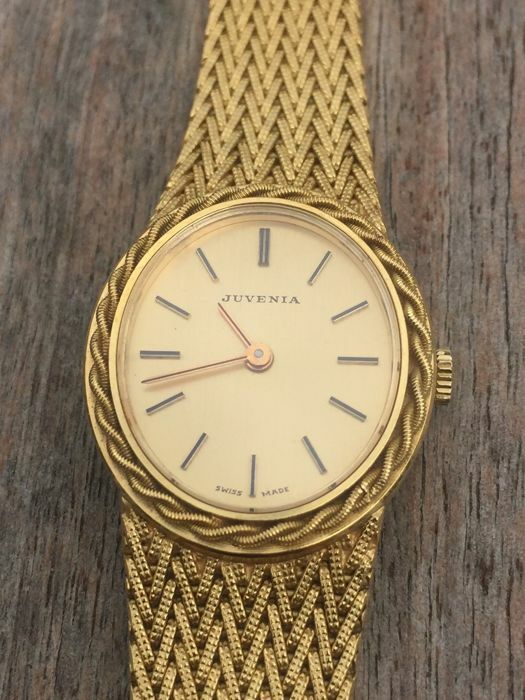 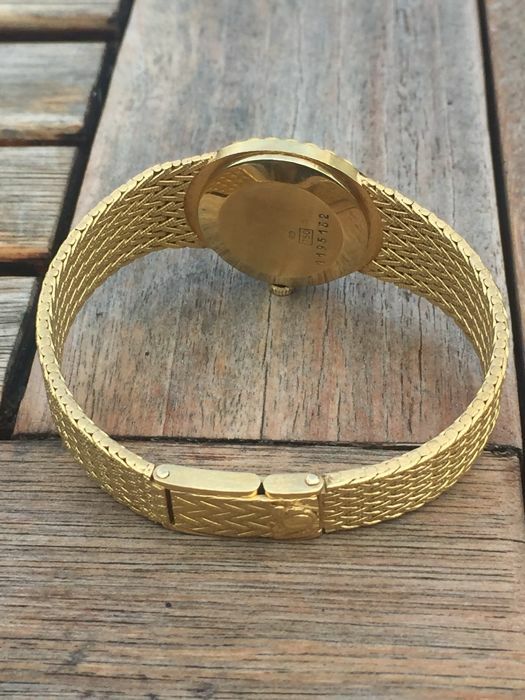 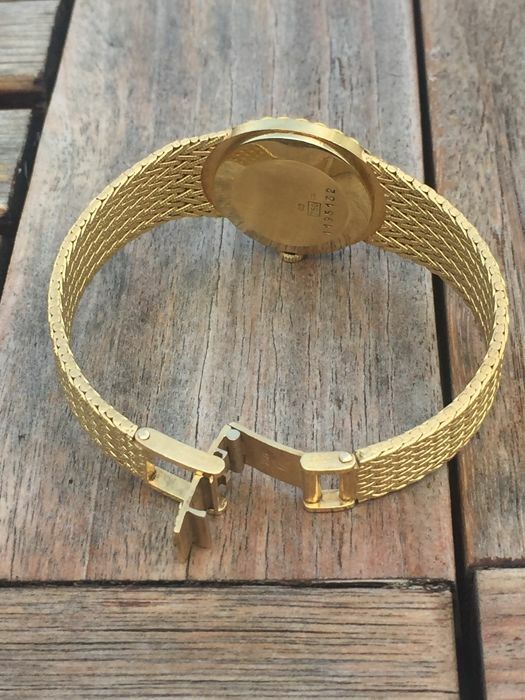 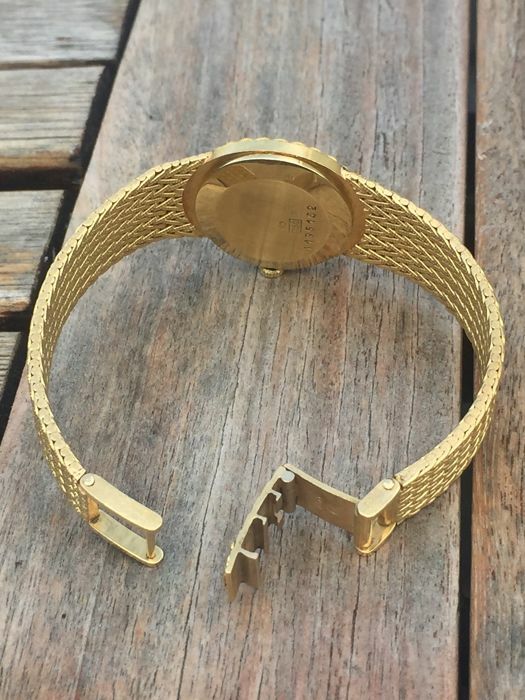 Very exclusive 18 kt gold bracelet watch by the Swiss top brand Juvenia. 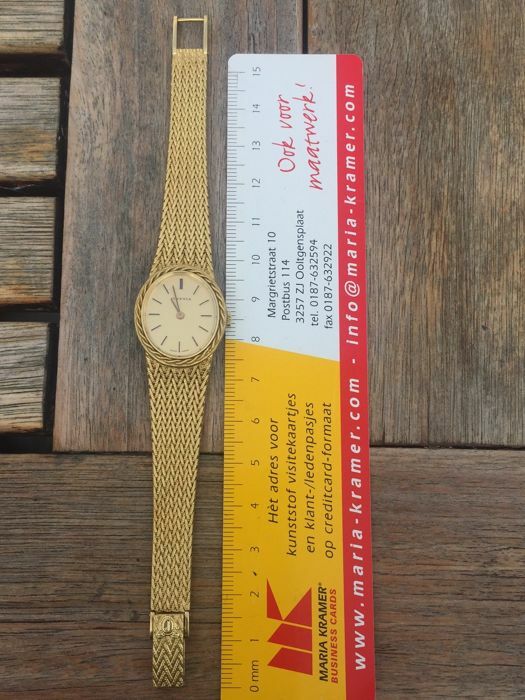 Very flat, 4.8 mm, never worn and in mint condition. 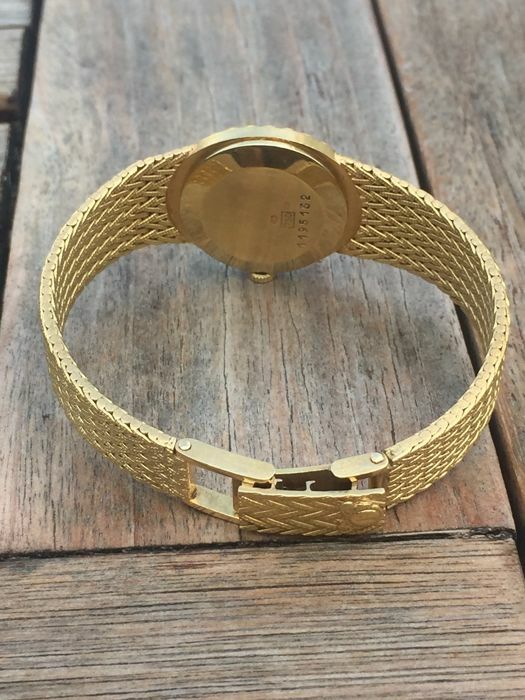 The watch has a beautifully integrated 18 kt gold strap, is adjustable from 15 cm to 16 cm. 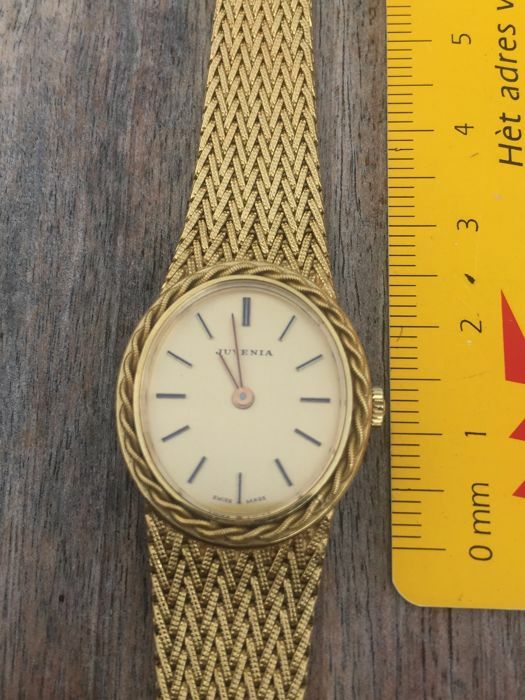 Length including the case 2.5 cm. 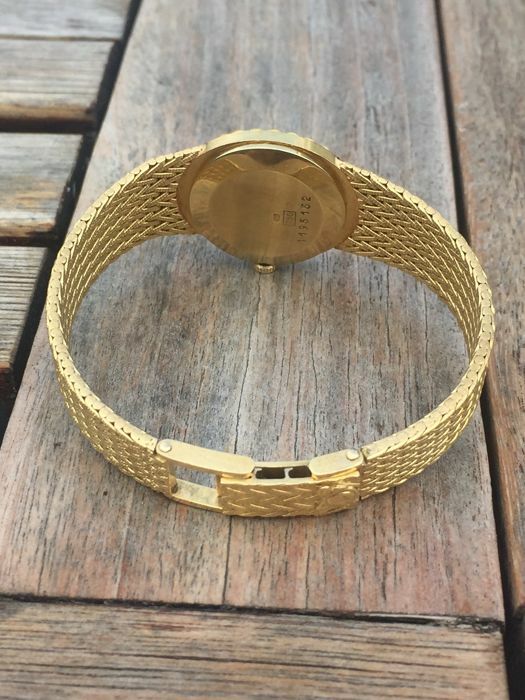 The width of the case is 2.2 cm. 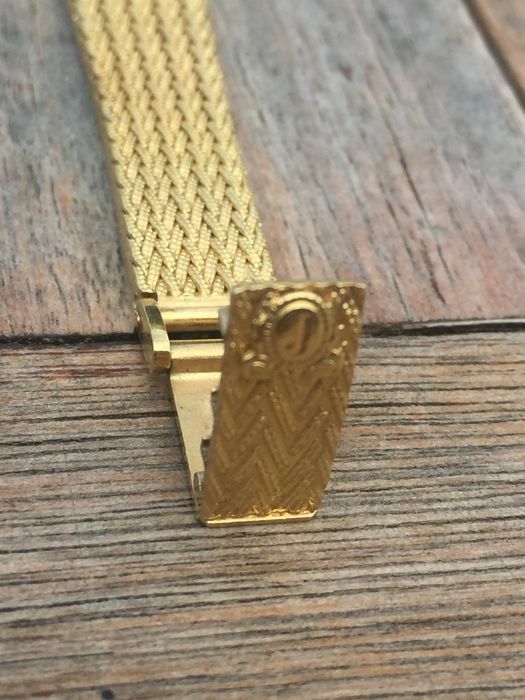 The folding clasp can be adjusted somewhat (see photos). 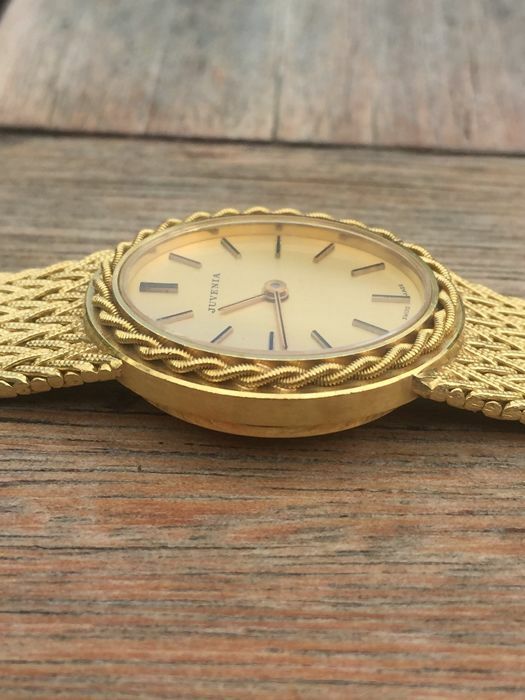 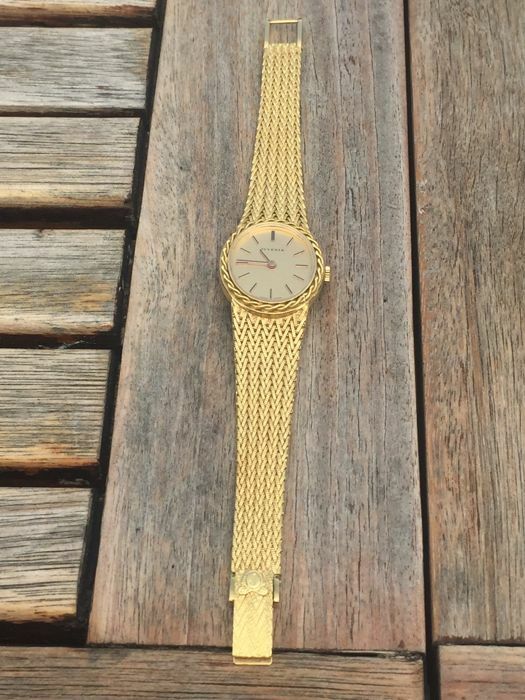 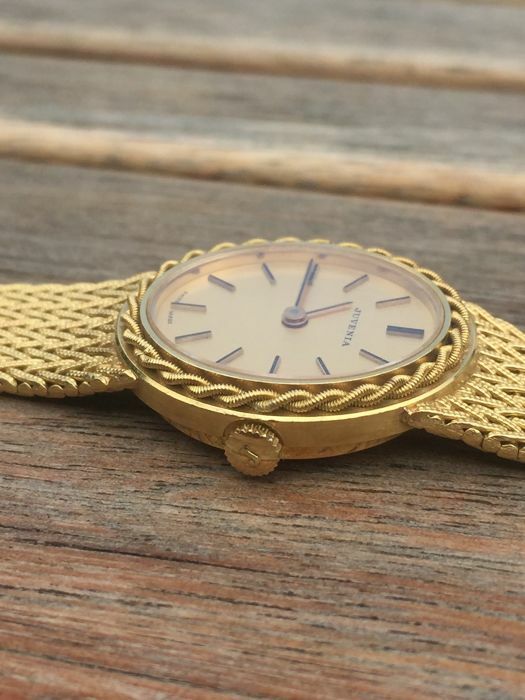 This is an 18 kt yellow gold women´s bracelet watch in immaculate condition with an accurately functioning movement. 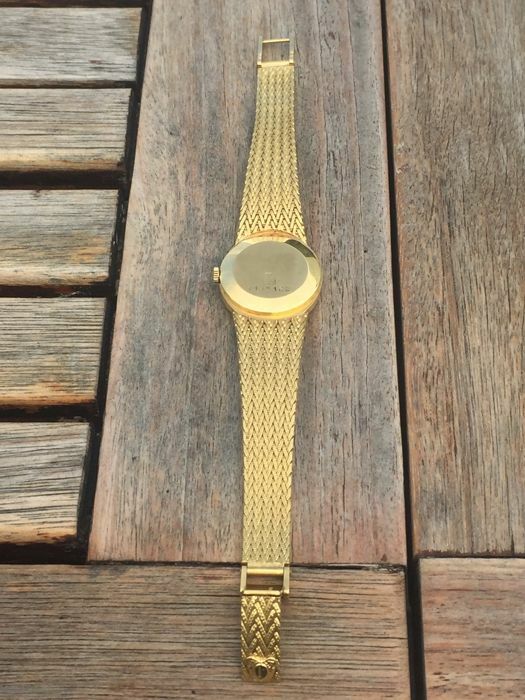 Length case and strap: over 15 cm. 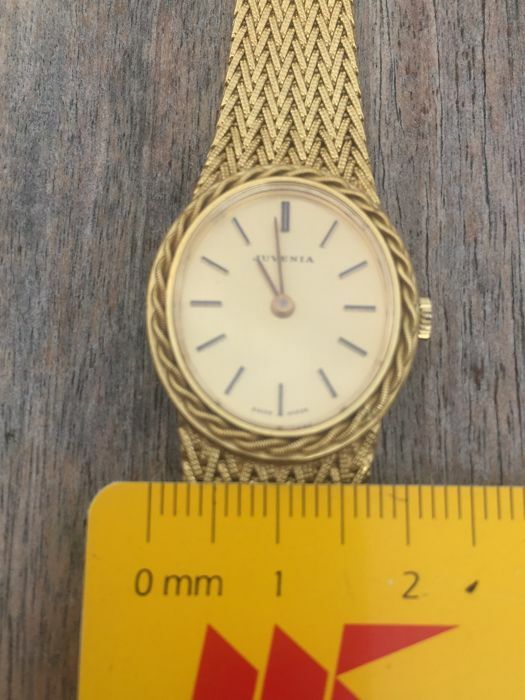 Width of watch 2.2 cm, length of case 2.5 cm. 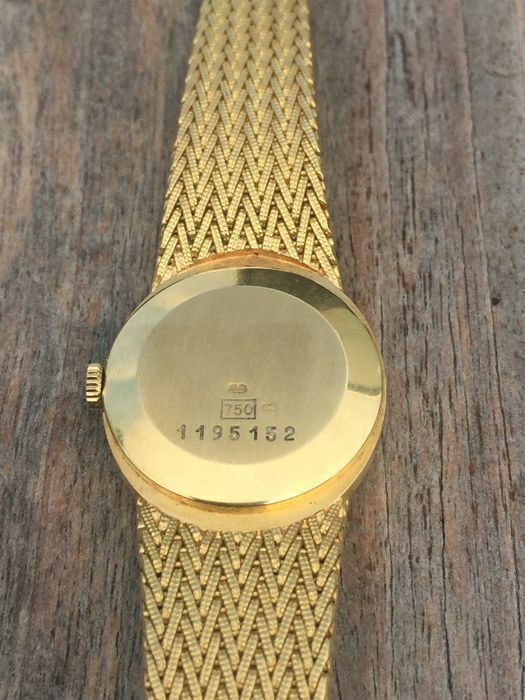 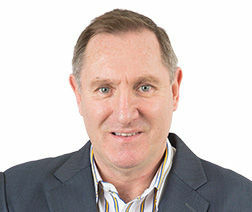 Will be well-packaged and shipped registered as a valuable shipment with track & trace.